What to do After Moving? Moving is stressful and the unfortunate part of moving homes is that the move is not done once you have everything moved into your new home. Sure, the moving company you hired might have helped put the major items in their appropriate spots. Like the right beds are in the right bedrooms and the couches are in the living room and so on. But you’ve got an entire house to unpack that’s most likely sitting in your living room. So what do you do after the moving company has waved goodbye and your thanked them for their time? The first thing you need to do is make sure you have essentials unpacked. If you prepped right you would have all of this marked on the outside of a few boxes. What are the essentials? Well it simply things like toiletries. A weeks worth of clothes (as your boxes might be in the living room for move that a week!). Think anything that is needed ASAP. So to add to this list you would have pillows and blankets. If you like to cook then the basics for the kitchen like pots, pans, cutlery and so on. This way even though more than 90% of your things will still be packed and sitting in the living room you can at least get by and are not scrambling to figure out where things are when you need them. If you planned everything right with your move you will have all the essential services connected like water, gas and electricity.And lets not forget the internet! It’s 2018 now so it’s pretty much as essential service! Now is a good time to take one final step and actually call all the companies for these services and make sure everything is done right. Trust us on this one. It’s quite common for things to go wrong. And the last thing you want happening is for your power to go out in the middle of the night and spoiling all your food a few days after you moved into you new place and just spend what seemed like a small fortune stocking up the fridge. It’s almost impossible to change your address with everyone who sends you mail. The best way to go about this after you have changed your address with everyone you can remember is to put mail forwarding in place. You can actually do this only with the Royal Mail. If you happen to be reading this and are not in the UK you should still be able to do this with your local government mail provider. After your mailing address is changed you slowly contact all the companies that you got forwarded mail from to give them you right address. This way you take the stress out of deal with ever company or person than needs a new address. But what you shouldn’t do is skip on the vitals. Those are things like your drivers license and your bank accounts. Hopefully this small article has helped you. 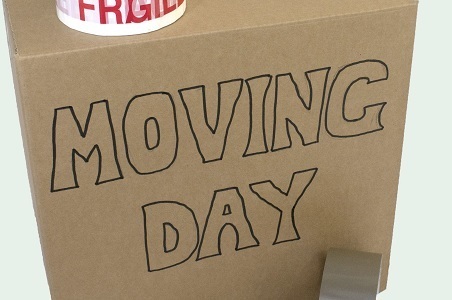 We hope you move is smooth and stress free! Moving home is a big deal! There are more things to remember you need to do than you ever though possible. Things can go wrong at every turn even if you are very particular with your planning if you move yourself. If you hire a removals company then you have the added stress of how much it will cost. Moving is not fun to say the least! So should you hire a moving company? Is it worth it? Or is it better to go lone ranger and move homes yourself? Solo Move: If you are going to be moving yourself then you will have to do all the packing. This is not actually a bad thing. But what you will deal with is a very time consuming task. You will have to pack everything in your home and tape up all the boxes. Then you’ll have to unpack everything in your new place. Moving Company: If you hire a moving company then you can opt for their packing service. Most moving companies have this service or they can recommend a partner company they work with to help with this. This will free up some time for you to deal with other important things when moving. Verdict: It’s better to hire a moving company to do your packing as long as it’s within your budget. Solo Move: Have you ever driving a truck before? If you have not you may very well be putting yourself in danger. While a small truck is almost no different to driving say a van. It is different in the end, it’s along the lines of the famous saying ‘same same but different’. It can be a dangerous task. As not only will you be behind the wheel of a larger vehicle than you’re used to but it will be full loaded up with your things so simply thing like how far out you need to break and how much you need to accelerate change. The other things to consider is how long the drive is and how big the van or small truck you hire is. You might end up having to make multiple trips. Moving Company: Pretty much everything that was mentioned above gets ruled out. Once the moving company starts their trip your part is done. Even if they make multiple trips. That’s their job and not yours. Verdict: Hire a moving company! Solo Move: Have you got insurance that covers your move? Most people don’t even think about this? Stop for a moment and think about the dollar value of what could be in a van you hired when moving all your large electronics. It could be worth thousands to tens of thousands. Now does your home insurance cover your goods your moving if they get wrecked in a car crash? It’s very unlikely. You would need to take out a special moving policy with an insurance company. Moving Company: Most moving companies have insurance. In fact as long as your don’t end up with some low grade operation and your deal with a reputable moving company. Then your goods will be fully insured. It is still best to ask the moving company about their coverage and how much your good are insured fore. Verdict: Using a moving company if you have the budget. 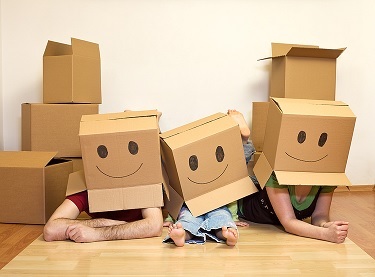 It’s quite clear that moving homes by yourself can be very stressful and tedious to deal with. We only covered a few items of the dozens you’ll have to deal with. There is much more you need to consider when moving. It’s better to hire a moving company to do the job just like https://www.WeMoveandClean.co.uk/. Check them out on Facebook here. If you actually add up all the costs that are involved with moving homes vs what a moving company will charge then it actually works out to be a much better deal to just hire a profession moving company to do the job. We are back and more prepared than ever. After shutting the business down for a year to travel the world we are back to reality and plan to become the best moving company that Swindon has seen in decades. Check out our first blog post about the pros and cons of moving.